Learn how to build your own tornado safety kit, where to store your most important personal documents, what to expect with post-traumatic stress symptoms and more. Use our interactive checklist to learn what you need before a tornado arrives and explore the following tips on storm preparation from the Centers for Disease Control and Prevention, AARP, FEMA and the National Weather Service. When a tornado strikes, many people think to gather food, water and clothing. But it’s important to have key personal documents, like a passport, driver’s license, insurance policies and Social Security card in one safe (and dry) place. Find out why, where and how to store your documents. Staying safe during a tornado means knowing the signs. Here’s what you should know about the differences between a tornado watch and tornado warning; detecting wall and funnel clouds; and securing your belongings outdoors to minimize damage. From debris cleanup to post-traumatic stress, dealing with the aftermath of a natural disaster presents various challenges. 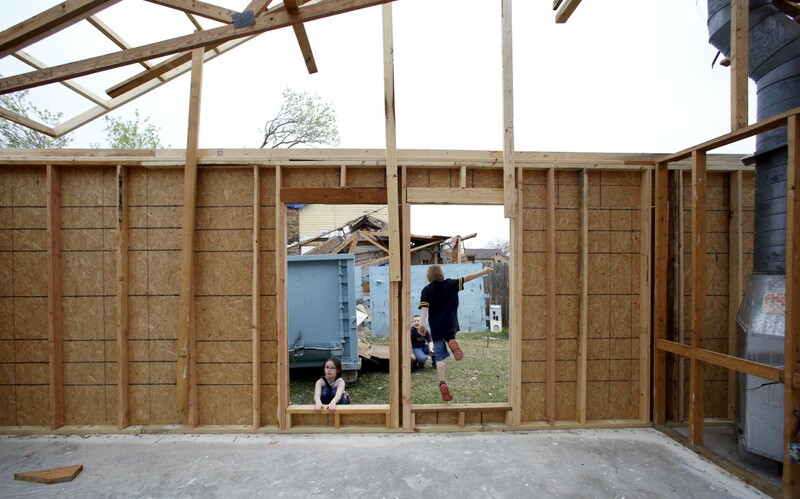 Learn how to rebuild after a tornado — logistically and emotionally. For those needing help in Dallas, Rockwall, Collin and southern Denton counties, Catholic Charities Dallas and the Society of St. Vincent De Paul Dallas have partnered together to assist in long-term support for those affected. If you are seeking support or have questions, please call (469) 607-0909 and leave a message. Donations of personal supplies, household items and money can be made to either Catholic Charities Dallas or to the Society of St. Vincent De Paul. Safe Response is working with both Catholic Charities Dallas and St. Vincent De Paul Dallas to support victims with accessing hotel rooms while they are in transition. Contributions can be made to help cover the cost for hotel rooms. Sharing Life Community Outreach is also maintaining a list of items needed to support the victims of the tornados, including cleaning, kitchen and personal hygiene supplies, and will accept donations of gently used furniture. Are we missing anything? Tweet @keranews to let us know.